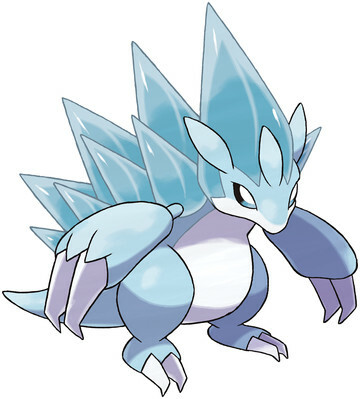 Sandslash is a Ground type Pokémon introduced in Generation 1. It is known as the Mouse Pokémon . Sandslash has a new Alolan form introduced in Pokémon Sun/Moon. The effectiveness of each type on Sandslash. 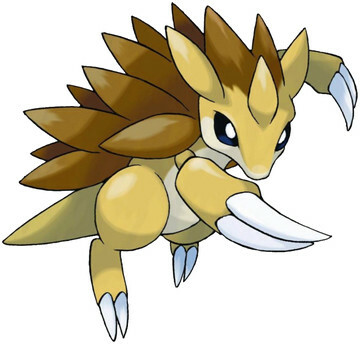 In Generation 1, Sandslash has a base Special stat of 55. In Generations 1-4, Sandslash has a base experience yield of 163. SANDSLASH’s body is covered by tough spikes, which are hardened sections of its hide. Once a year, the old spikes fall out, to be replaced with new spikes that grow out from beneath the old ones. Thanks to its thick claws, it’s good at climbing trees. There are plenty of Sandslash that park themselves in trees and go right to sleep. 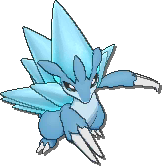 This Pokémon’s steel spikes are sheathed in ice. Stabs from these spikes cause deep wounds and severe frostbite as well. Sandslash learns the following moves in Pokémon Let's Go Pikachu & Let's Go Eevee at the levels specified. Sandslash learns the following moves in Pokémon Ultra Sun & Ultra Moon at the levels specified. Sandslash learns the following moves when it evolves in Pokémon Ultra Sun & Ultra Moon (regardless of level). Sandslash learns the following moves via breeding in Pokémon Ultra Sun & Ultra Moon. Details and compatible parents can be found on the Sandslash egg moves page. These moves can only be learned in Pokémon Ultra Sun & Ultra Moon by a previous evolution of Sandslash. Check the respective Pokédex for the exact details. Sandslash can only learn these moves in previous generations. It must be taught the moves in the appropriate game and then transferred to Pokémon Ultra Sun & Ultra Moon. What is a good moveset for Sandslash? How come Ninetales' and Sandshrews Alola forms are ice types? Quagsire or Sandslash in silver?